Introducing our new headquarters at 27 Gaukel St.
It’s been nearly six years since Matt, Aaron and I first began work on Thalmic in 2012. Much of that time has felt like a whirlwind: developing technology, announcing a product, bringing it to market, and building an amazing team. However, If those first years were a whirlwind, the past 18-months have been more like a tornado: In 2017, we tripled in size and added about 200 new people. We’re now nearing 350 people, with 45 more open positions (if you’re interested, find the list here). Hires this past year have been mostly engineering talent and specialized skill sets for our Advanced R&D team, but every team is scaling: marketing, culture and talent, product, finance, IT, etc. Scaling rapidly brings with it many risks and challenges: continuing to hire the right people, keeping the culture we desire, scaling communication, executing well as a large organization, and so on. It also means you eventually run out of space. 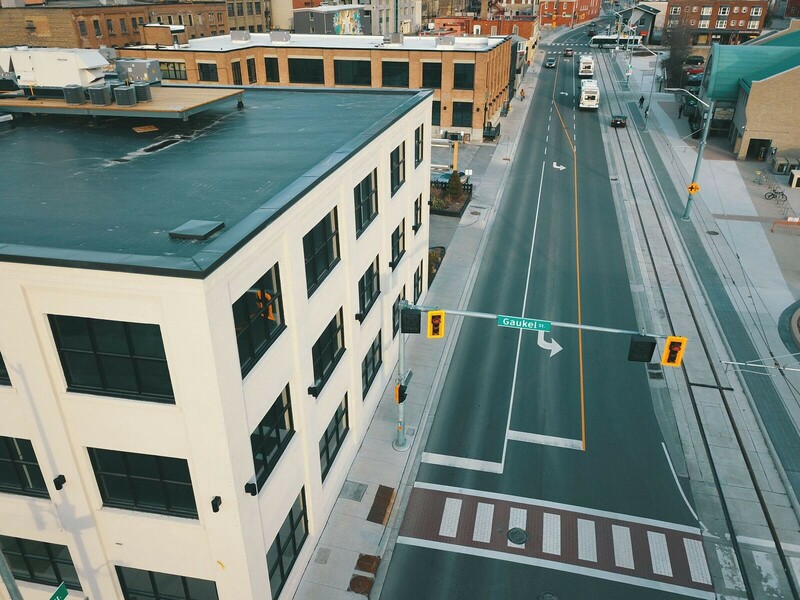 With that in mind, I’m happy to share that today we’re officially opening and expanding into our newest office and headquarters at the corner of Gaukel St. and Charles St. in Downtown Kitchener. At our current size and with our growth trajectory, we faced the decision to either stay downtown or move to a suburban office park. For us, the choice was straightforward; we want to continue to invest in Kitchener’s core as part of the downtown revitalization. Matt, Aaron and I love the benefits our current location gives the Thalmic team — the convenience, access to downtown restaurants, theatres, hotels, gyms and grocery stores — so we opted to continue growing right here. 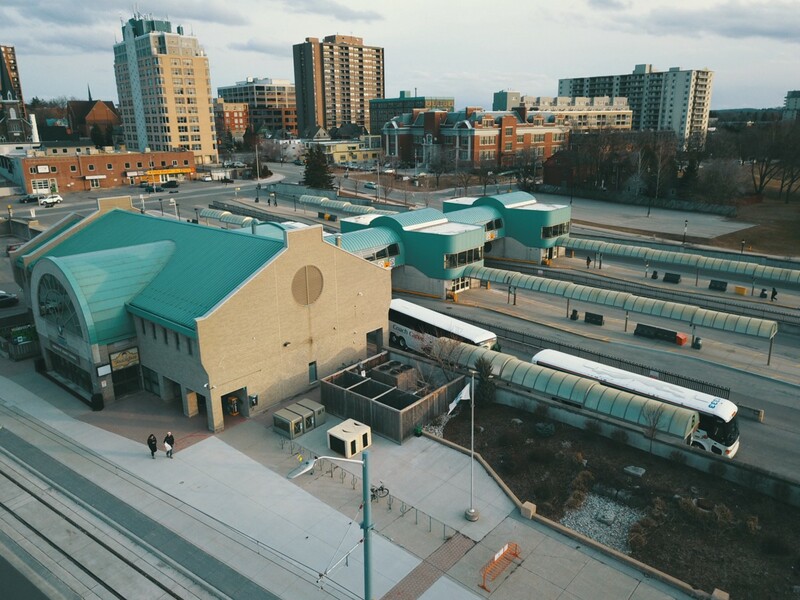 A large percentage of our team lives within walking or biking distance of the office, and the new LRT system outside of our front door makes transportation even better. More than just convenience, we see this expansion as another step toward anchoring the Waterloo Region as a global technology and advanced manufacturing hub. We chose to build out our 65,000+ square foot manufacturing space here last year, and are doubling down on that decision with our choice to grow our HQ footprint here as well. 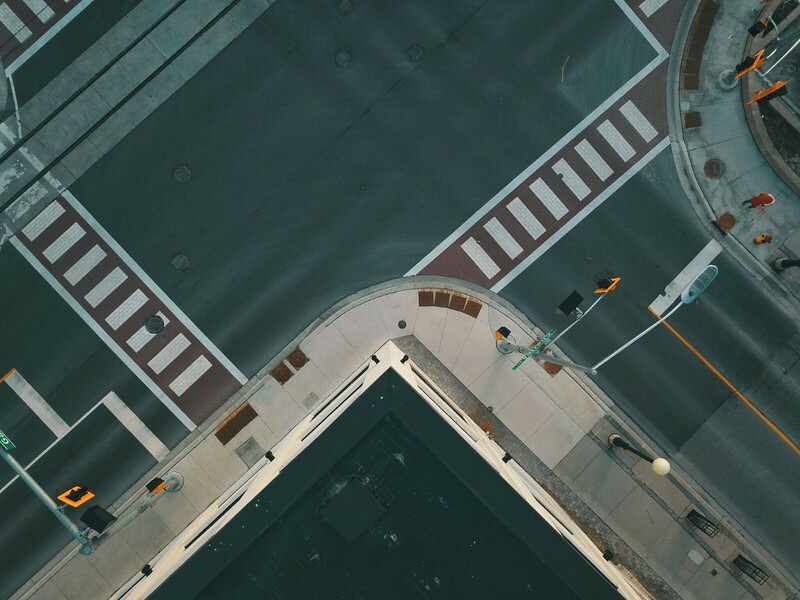 Manufacturing is instilled in the Waterloo region’s history — Blackberry, the Uniroyal Tire Plant, Kaufman Footwear, Labatt Brewery — just to name a few. We believe the future of this region lies in a combination of this area’s manufacturing roots, reimagined through the lens of emerging technology and invention. The building we chose is located at 27 Gaukel St, right next to our current office. It has three floors — approximately 26,000 square feet of new space. It’s over 124 years old and was formerly the home of Schreiter’s Furniture (a furniture company founded in Boutzin, Germany, all the way back in 1873). We’ll be keeping our current building at 24 Charles St. as well, growing the total footprint to nearly 130,000 square feet. Much of our previous Charles St. office is R&D labs, which will be expanded following the move to allow for specialized laboratory facilities for new technology under development. Our new office is an open format, but has separate glass-walled team rooms and quiet breakout rooms throughout (we also provide noise-cancelling headphones for anyone who desires). Much like our current headquarters, we’ve looked to places such as Bell Labs, whose Murray Hill location was specifically designed to foster chance encounters and collaboration between experts from different fields. We’ve also chosen to invest in a common area that hosts our weekly all-hands meetings, and will allow us to host selected external and community events (in the past we’ve hosted community groups such as Girl Geek WR and speakers such as Chris Hadfield, Prime Minister Stephen Harper and Minister Navdeep Bains). Today, the future of Kitchener and the Waterloo Region looks brighter than ever, and we’re committed to being part of it. We’ll be right here until we eventually run out of room again and expand once more. Till then, I’m excited for what 2018 has in store for us, and I’m hopeful that our new space provides a comfortable home for the dedication and commitment that our employees bring to work everyday. Co-founder of North. I like to build things.